Now that we have gone through the brands ranking in detail for Europe, let’s explore the models sales charts. In a market down 6% this month to 1,083,930 registrations which is the weakest May figure in 20 years, there are still a bunch of models in the Top 10 that deliver year-on-year growth. In pole position for the 38th consecutive month and for the 58th time in the last 60 months, the VW Golf only drops by 0.7% to 40,695 sales which is almost 15,000 units above the 2nd best-selling model… Year-to-date, the Golf is once again down less than the market at -2% and 196,097 sales. The Ford Fiesta is back up 3 spots to #2 at 26,530 units (-6%) and also reclaims the #2 spot year-to-date thanks to 127,675 sales, down 12% on 2012. 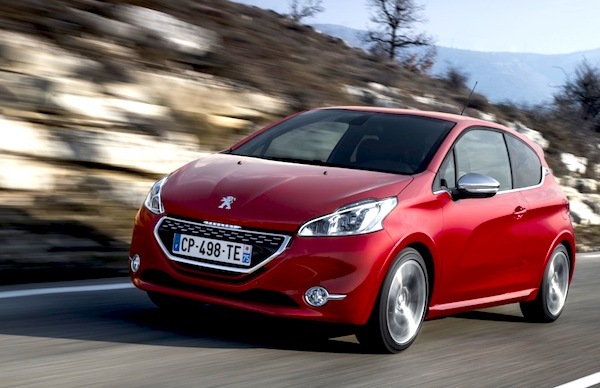 For only the third time since its original launch a little more than a year ago, the Peugeot 208 appears on the European podium at #3 with 23,020 sales, up 111% on May 2012 when its sales were still gearing up. The 208 is #5 year-to-date below the Renault Clio, up 6% to #5 this month, and the VW Polo, down 8% to #6. 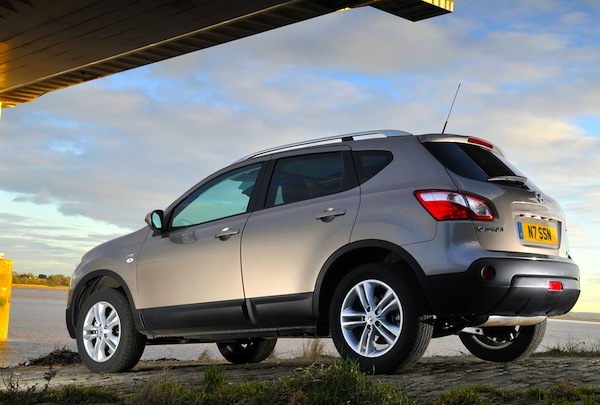 The Opel Corsa in 4th position makes it 5 superminis in the Top 6 this month. The other two models to register year-on-year growth in May are the BMW 3 Series, stable at an excellent 8th place with 17,837 sales (+6%) and the Nissan Qashqai, every month more impressive than the last, up 11% to #9 at 17,393 units. Previous month: Europe April 2013: Audi A3 breaks into Top 10 for the first time! Full May 2013 Top 10 Ranking Table below.